In the last essay of this series, I presented the experience of historic and recent Russia‘s impact in Greece, now I will attempt to look at one of the new member states of the European Union – the Czech Republic. In this context, the Czech Republic‘s example, in principle, should also be included in the textbooks analyzing contemporary Russia‘s regime. Despite the Soviet Union‘s invasion in 1968, the Czech Republic, as the member of the European Union and NATO, has never had a notably hostile or suspicious attitude towards Russia (unlike the Baltic States or Poland, for example), yet in 2006 this country seemed to be a strong ally of the United States. Even though the elections in June 2006 had no clear winner and the country found itself in an unstable political situation, Mirek Topolanek was appointed the Prime Minister in September. 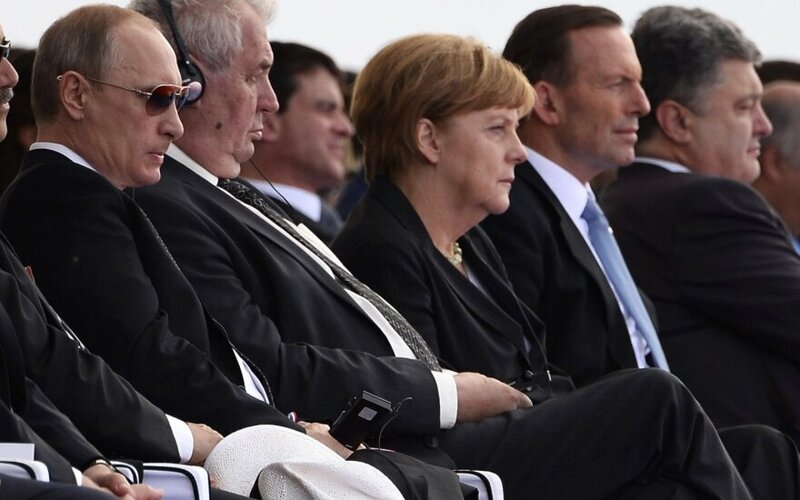 Topolanek was a particularly active proponent of the U.S. anti-missile shield, which was strongly opposed by Russia. On 20 July 2006, Jiri Sedivy, the former Commander-in-Chief, encouraged to locate the elements of American radar in the Czech Republic. Despite the opponents, the country seemed to have a strong and steady position. Before the elections in 2006, Jiri Paroubek who served as the Prime Minister at that time and was the leader of Social Democratic Party promised Washington to support the deployment of the anti-missile radar in his country. However, in 2011 the Czech Republic officially refused to take part in a reformed anti-missile system, after the President Obama started the so called ‘reset’ policy with Russia and discontinued Bush’s administration project. On the other hand, following Russian aggression in Ukraine, a considerable part of Eastern and Central Europe were concerned about its security and therefore asked for a stronger NATO protection. Instead, Martin Stropnicky, Minister of Defence of the Czech Republic, announced that NATO troops would not be accepted in the Czech Republic. ‘IHS Jane's Intelligence Review’ forecasted in April 2015, that Russia’s influence would prevent the Czech Republic and Slovakia from shifting towards EU and NATO. 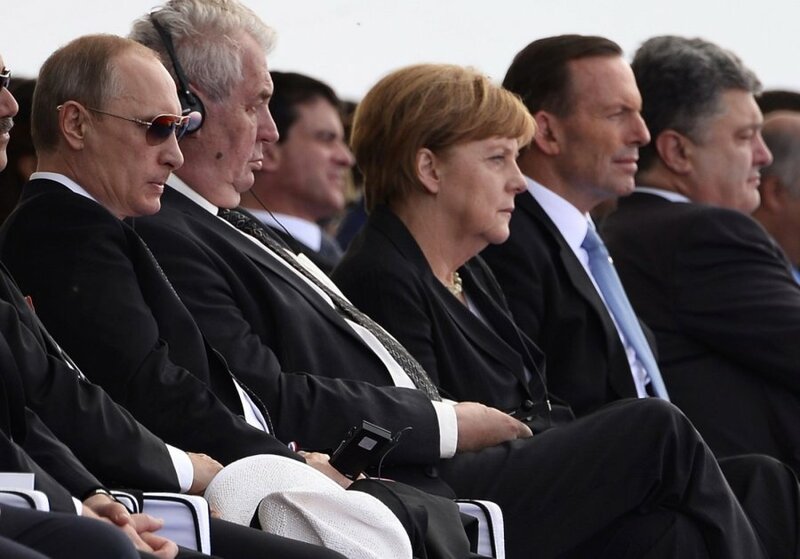 In the context of Russian impact in the West and its desire to destroy the EU and NATO, it is essential to analyze the change of views in the Czech Republic. Even though in 2006 the Czech Security Information Service (BIS) noted the activity of Russian intelligence services in the country, it was said to be mostly related to Kremlin’s economic interests as well as the political influence to spread its favorable ideas. In 2007 the Report notes that the intensity of the operations of Russian agents along with its influence did not change significantly. However, for the first time the U.S. anti-missile shield was mentioned to be one of the most important Russia's targets. Alarm bells started ringing in the Report 2008: ‘The assumption that Russia readopted the Soviet practice of using active measures to promote its foreign policy interests worldwide has thus been confirmed. It must be admitted that, because of the increasing importance of intelligence and security elements within the Russian state and Russian economy, the boundary between activities of intelligence services and other government or private entities cannot be defined accurately. In 2008 the Russian intelligence services made an extensive use of internationalist and civic movements in their work. The movements themselves and an overwhelming majority of their members are not conscientious collaborators of foreign intelligence services, but rather victims who are exploited – under a false-flag approach of noble ideas – for quite different purposes. The forms and methods the Russian intelligence services use in their work have been, to a considerable degree, inspired by the forms and methods successfully employed by the Soviet espionage in the 1980s to influence the Western peace movements. Russia’s achievements are obvious. It is essential to emphasize that the Czech intelligence service was familiar with the situation; however it was incapable to resist. Despite the move from the U.S ally to a passive and Russian threat blind NATO member, the Czech Republic has also started spreading Russian ideas in the EU. Miloš Zeman, a current President of the Czech Republic, justifies Russia’s actions and opposes sanctions. 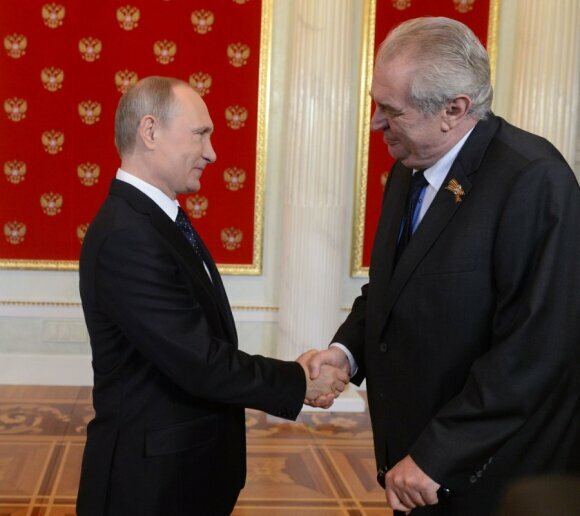 Furthermore, Zeman visited Moscow on 9 May, though he did not participate in the military parade. Together with the activity of the intelligence service, Russia has reached its goals by using the influence and money of Russian or pro-Russian businesses in the Czech Republic, mostly LUKoil. However, when taking into account the history of the KGB and its partners in the former Warsaw Pact states, it is worth looking at the individuals, who could have been the part of these goals. Interestingly, they may be aware of their cooperation with the Russian intelligence service. Although the evidence is not published, the long-term methods of the KGB, also included in BIS report, show the importance of lobbyist Miroslav Šlouf, known as the ‘signaller between LUKoil and Zeman’. He was the long-term and influential functionary of the Czech Socialist Youth Union, associated with the officers from the State Security in the socialist Czechoslovakia (StB). Zdanek Zbytek, a former high rank Czech Socialist Republic military officer, is another person associated with Zeman. Lubos Dobrovsky, the former Minister of Defence of the Czechoslovak Republic, described Zbytek as ‘a man who took the advantage of his contacts with the Soviet colonels and generals. They left the army and started business after the collapse of the Soviet Union. That is the source of his wealth. These people are dangerous. They can negatively affect our dependence on Russian market’. Putin’s regime exploits all the connections of foreign nationals with people as well as structures in Russia, especially established by the USSR generals. It is a much higher concern than the dependence on Russian market. Also, it is stated that BIS observes Zbytek’s activities, however it has not impeded Russian influence. Zeman’s long-lasting strategic friendship with one of the richest Czechs, the current Minister of Finance and oligarch Andrej Babis, is not a secret. Apparently, it is ‘simply a coincidence’ that Babis is accused of cooperating with the StB and his father, a former Czechoslovak diplomat, is suspected to have run a Vienna-based black-market arms trade business under the protection of the StB. In conclusion, LUKoil’s active participation in Zeman’s presidential election campaign was rather the outcome of the former ties, but not the reason of his current pro-Russian politics. Zeman calls Vladimir Yakunin an old friend. Yakunin, a former KGB officer, is one of the most influential actors in nowadays Russia – the head of Russian Railways and the leader of one of the most powerful governing KGB clans. Since 2005, Zeman has actively participated in the world public forum ‘Dialogue of Civilizations’, which spreads Russia’s values under Yakunin’s control. Zeman is not the only high rank Czech politician, who himself or someone associated with him is suspected to have links with the Kremlin and the members of Russian (former Warsaw Pact) special services, either recent or former. 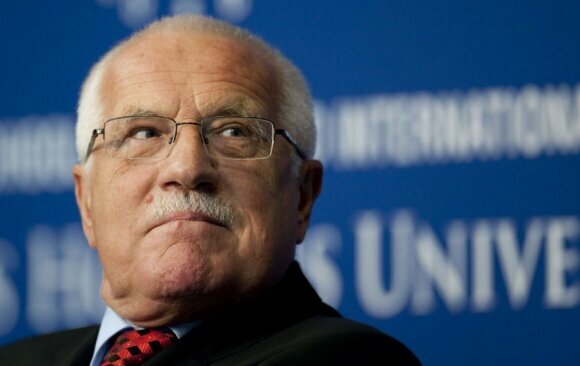 ‘Coincidentally’, Vaclav Klaus, the former Czech President and the Prime Minister, is another follower of Putin’s regime and one of the famous opponents or even the destroyer of the European Union. Though, Klaus did not have any constitutional mandates, in 2009 he attempted to interfere with the ratification of Lisbon Treaty in his country. In 2008 Klaus was the only European leader to blame Tbilisi for Russia’s aggression in Georgia. Following Russia’s aggression in Ukraine, he defended both the Kremlin and Putin. He argued that Russia’s annexation of Crimea was a “forced move”. Klaus and Zeman’s links to pro-Russian or Russia’s businesses in the Czech Republic is not a secret. Furthermore, being an opponent prior the last Czech Presidential elections, Klaus has suddenly become a strong Zeman’s supporter. However, these are not the only coincidences to look at. At least once Klaus was accused of being a StB agent. At the end of 2008, just before the start of the Czech Presidency of the European Union, Robert Eringer, a journalist and the author of obscure reputation books, who worked for the Federal Bureau of Investigation, accused Klaus of being a long-term communist collaborator. Even though Eringer cannot be considered as a reliable source, it is worth having a glimpse of his work. For a long time some Czech dissidents suspected Klaus’s cooperation with the socialist Czechoslovakia’s intelligence service. The situation can also be analytically analyzed using other sources. Eringer potentially used ‘knowledgeable sources within the intelligence community’ and affirmed that Klaus, while a 21-year-old student at the University of Economics, Prague, was recruited by StB in 1962. Klaus, codenamed ‘Vodichka’, for his cooperation was allowed to travel abroad on research projects and to continue his studies in Italy and the USA. Apparently, in 1970 Klaus participated in the special operation staged by StB with the assistance of the KGB. The purpose of the operation was to publicly name Klaus an ‘anti-socialist malcontent’ and pose him as a "victim" of the regime so he could continue to penetrate and monitor dissident circles as a deep-cover mole. Actually, Klaus fell into the disfavor of Czechoslovakia’s socialist regime and had to leave the Economic Institute. This fact was confirmed by Klaus himself. Despite this fact, Klaus started working in the State Bank of Czechoslovakia. He was not discriminated in any way; he even regularly attended economic conferences abroad, a status reserved for the people, trusted by socialist government. Another fascinating fact in Klaus’s biography is that in 1987 he was accepted into the Czechoslovak Institute for Economic Forecasting under the Czechoslovak Academy of Science. It seems that this institute in Czechoslovakia played the same role as the International Institute for Applied Systems Analysis (IIASA) established by the Soviet Union in Vienna and its branch in Moscow – the All-Union Institute of Systemic and Scientific Research (Vsiesojuznyj nauchno-isliedovatelskij institute sistemnyx isliedovaniji – VNIISI). They were the part of the KGB plan to prepare future cadre and therefore reform the Soviet Union. Following the revolution, the employees of the Institute for Economic Forecasting started leading the economy, so as the KGB prepared and mentored ‘Young Reformers’ in Russia. After the Velvet Revolution in November 1989, Klaus served as the Minister of Finance and became the Prime Minister afterwards. Furthermore, Karel Frantisek Kocher, a former StB agent, who managed to infiltrate in the Board of Central Intelligence Agency, returned as a hero to the country and started working in the Institute for Economic Forecasting. That shows the importance of the institute for Czechoslovakia, where Kocher and Klaus were colleagues. It is also claimed that the friendship between their families was built. We can criticize Czech bloggers who state that the ‘voucher privatization’, introduced by Klaus and his partners, the government activities at that time as well as the economic reforms were aimed at state’s assets to be forwarded into the hands of ‘reliable’ StB agents and former communists. However, their assumptions are based on fascinating and hardly deniable facts. For instance, the allegations that Klaus’s partner Dusan Triska, the father of privatization, was a StB agent are public. Furthermore, Milan Velek, also associated with Klaus, was another well-known agent of socialist Czechoslovakia and the KGB. He strongly influenced the process of privatization, especially in the energy sector. To note, Klaus’s reforms and his ‘exemplary model of privatization’ ended up with the corruption scandals. ‘Vaclav Havel, as the Czech President, was surely influential; however he lacked the authority over the political affairs. Klaus was much more active in this field. Kellner’s father worked in Moscow in the Soviet Union, whereas Kellner’s career started in the foreign trade related institutions of the socialist Czechoslovakia; the same line can be traced with other wealthy people of today’s Czech Republic. Kellner, by coincidence, has not only got a successful business in Putin’s Russia. He has always been the active supporter of the development of relations with Russia, despite the fact that the country’s intelligence warned of the danger of the increased activity of Russian espionage and its impact on the Czech Republic. Klaus, like Zeman, highly contributed to the success of Babis’ business, too. However, the most obvious link can be found between Klaus and Viktor Kozeny, another privatization process ‘champion’. Kozeny, who has been seen with Klaus more than once, splashed citizens’ money, which was collected during Klaus’s ‘voucher privatization’. Currently, he is hiding in the Bahamas from the U.S. and the Czech Republic jurisdictions. Kozeny’s personality is less interesting than the fact that Harvard Capital and Consulting Group was supposedly established and controlled by the socialist Czechoslovak State Security and directed by Kozeny. Boris Vostry, a high rank StB officer, was the main Kozeny’s partner. He is not alone. Juraj Siroky, a current Slovak billionaire, together with Branislav Kralik and Joseph Postulka worked for the Czechoslovak intelligence service with the cover of a diplomatic posting in the Czechoslovak embassy in Washington. In addition, a scandal arose in the Czech Republic in 1993. Vaclav Wallis, a former Czechoslovak intelligence officer, was arrested for selling Kozeny secret government documents about the plans for shifting the state economy to private ownership. 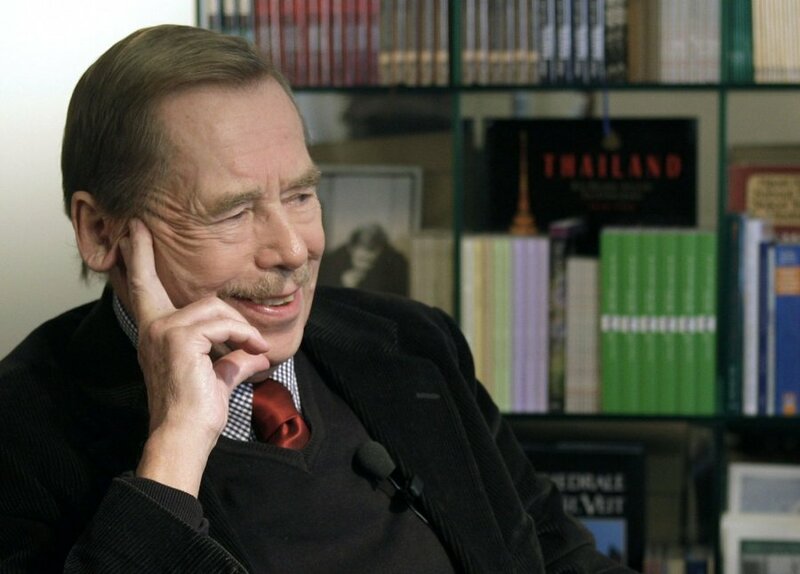 It was also revealed that Wallis collected information about the private lives of top politicians, including President Havel and Prime Minister Klaus. Klaus’s response was unusual. He did not seem to care about the safety of either the state or his personal secrets. The Prime Minister was only displeased that the affair had not stopped dominating the press: ‘Everybody has left on holiday, and as a result there's been nothing to write about,’ he said. In conclusion, if we take into account all the information provided, especially in the context of the KGB active measures, a status quo in both the Czech Republic and Slovakia is rather different as if it would simply be compared to Klaus and Zeman’s financial affairs with LUKoil. Actually, Klaus and Zeman are not the main players. After the Velvet Revolution, the KGB and StB managed to secure a control over the country. This control has remained.